The Spanish government's offer of the "right of return" to the descendants of Jews expelled in 1492 is a "bit late, but nevertheless worthy of praise", says Rabbi Pinchas Godlschmidt, the president of the Conference of European Rabbis. The Rabbi was responding to Spain's new law -- approved by the cabinet on Feb. 7th -- granting citizenship to all those who can prove their Sephardic origin. The law amends a previous version announced in 2012, which granted citizenship only to qualified Sephardic Jews and did not allow them to retain other citizenships. The old law also did not extend to the descendants of those coerced to convert to Catholicism, known as Marranos (swine in Spanish). The current version of the law -- still to be ratified by the Parliament -- is seen as a way to "correct a historical wrong" for the expulsion of Jews from Spain. What of the unknown number of Muslims and their descendants expelled? The Edict of Expulsion (also known as the Alhambra Decree) issued on March 31, 1492, by the Catholic Monarchs of Spain (Isabella I of Castile and Ferdinand II of Aragon) ordered Jews to convert or to leave the Kingdoms of Castile and Aragon. This was just after the fall of Muslim Grenada in January 1492. A decade or so after the fall and the Alhambra Decree, Muslims were also forced to convert or leave. In fact, between 1609 (Valencia) and 1614 (Castile), even those Muslims who had converted to Christianity and their descendants (the Moriscos) were forcibly thrown out. Between 275,000 and 350,000 people left and mostly settled in Morocco, Algeria, and Tunisia. Spanish Justice Minister Alberto Ruiz-Gallardón said the law has a deep historic meaning but that it also "reflects the reality of Spain as an open and plural society." An openness that apparently does not extend to Muslims. In 2006 a left-wing party in the Andalusian parliament sought to introduce a bill granting Spanish citizenship to the descendants of Moriscos. The bill failed. The double standard is not lost on many Muslims and descendants of Moriscos, particularly those in Spain and North Africa. Representatives of the Moriscos in Morocco and Algeria have already written to Spanish authorities. Najib Loubaris, the president of L'Association pour la Mémoire des Andalous, a group representing Moroccan Moriscos, strongly chastised the Spanish government. The government "should grant the same rights to all those who were expelled", Loubaris is quoted in the Guardian. "Otherwise the decision is selective, not to mention racist." The call is echoed by Spain's leading Islamic group the Junta Islámica. While many of the descendants of the Jews may return, consulates in Tel Aviv and Jerusalem have reportedly already been flooded with requests; the situation with Muslims may be different. It is not known exactly how many Muslims stayed underground and how many left. Moreover, it will be difficult for most Muslim descendants to trace their ancestry because they melted away in Spain or wherever they ended up, unlike the Jews who kept to themselves out of fear of further persecution. Moreover, according to University of Cordoba law professor Antonio Manuel Rodrguez Ramos, it is unlikely that the government will encourage the investigation into Muslim descendants. He argues though hundreds of thousands left, the majority did not leave but rather stayed back and "created a culture that can be described as most authentic and most Hispanic." He suggests digging too deep into Muslim descendants would simply highlight a truth that most Spaniards would like to ignore. "The danger is that we will have to recognize that the majority of the Spanish population is of Muslim descent," says the Professor. "It's an effort to hide our history, to hide our memory." With respect to the Jews expelled and their descendants, Rabbi Goldschmidt argued that in addition to this right of return, they need an official apology and that all Jewish monuments now being used as museums and churches be re-assigned again for Jewish use and control to "amend the historical mistakes." 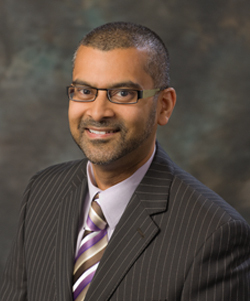 Faisal Kutty is an assistant professor of law at Valparaiso University Law School and an adjunct professor of law at Osgoode Hall Law of York University in Toronto. Follow him at Twitter@FaisalKutty. Universal Declaration of Human Rights: A Western Construct?